New Year’s Eve is a night loaded with promise. It’s a final chance to put a nice little bow on the closing year. Usually that pretty bow winds up being an ugly step cousin of a night consisting of getting blackout drunk and trying to make out with anything still standing after 4am, but not this year. 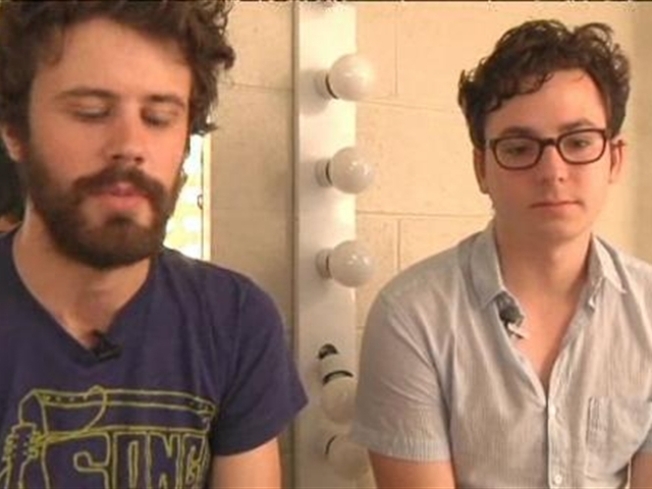 This year Passion Pit wants to help you do something great to close out 2010. So here is a call to all you artists who just so happen to be fans of the New York based indie-pop quintet Passion Pit. In conjunction with Creative Allies the band has created a poster design contest to celebrate their two year end shows at The Wellmont Theatre just outside of the city in Montclair, NJ on December 30 and 31. While the page lists a few Do’s and Don’ts for the design such as “No cheesy ‘New Years’ imagery,” the contest is a blank canvas of sorts and the band welcomes all ideas as long as they adhere to the few rules they outlined on the website. The winner will get enough money to cover their champagne and cocaine for the evening ($300) along with a pair of tickets to the show of their choice. It’s been a hell of a 2010 for Passion Pit who kicked off the year with three sold out nights at New York’s Terminal 5. They continued their Big Apple dominance with sold out summer shows at the Prospect Park Bandshell and the 7000 person capacity outdoor space on Governors Island called Coronels Row. Those are pretty big performances for a band with only one full length under their belt. Nonstop Sound is very much looking forward to closing out the year with these electro titans and hope that 2011 proves fruitful for more prolific output by Passion Pit.